Rosetta Daylie (Rose, as she’s more affectionately know), was born in Chicago Illinois where she’s lived her life’s mission as a labor organizer and strong representative for the labor movement. She is a phenomenal woman who’s raised four children as a single parent, leaving them with lasting memories of victory and success! At the beginning of her career, while raising her children, more than four decades ago, she worked for the state as a Food Service Worker at Illinois Visually Handicapped Institution. That was in 1964. She later transferred to the Chicago Reed Mental Health Center as a Food Service Supervisor I, where she had a 2 hour commute to work each way. 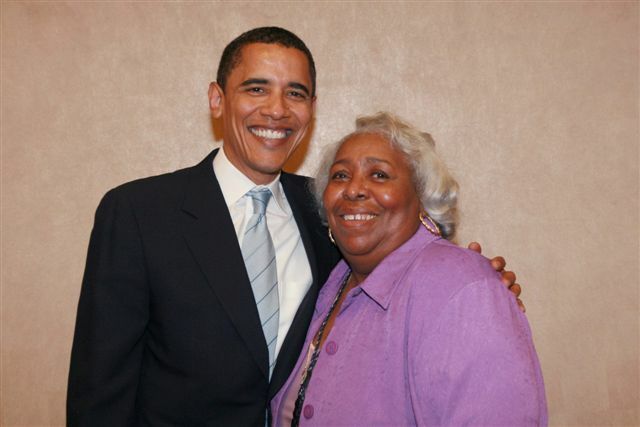 It was here, she got actively involved in the union with the American Federation of State, County and Municipal Employees (AFSCME), and served as Steward, Chief Steward, and President of Local 1610. In 1979, she was elected President of AFSCME Council 31. She served in that post until she was appointed Associate Director of Counsel 31 in 1985, from which she retired many years later. Rose has a deep passion for helping others. As her career progressed, she became strongly involved in the labor movement and began to live her dreams by continuing to serve others through (AFSCME). She rose quickly through the ranks with many elections and first time achievements throughout her career. While these are all great accomplishments, for Rose, these titles, awards and recognition’s mean nothing to her in comparison to her hearts mission and those she’s helped along the way. While Rose is retired, honestly you’ll never know it as she stays quite involved in the movement with organizations like Chicago Federation of Labor, Coalition of Black Trade Unionist, Visionary Friends and others. Her children (now grown) and her grand-children, also grown, all laugh and tell her they don’t believe she’s retired, as she travels abroad, enjoys life and stays connected.